When high-production is your business, you need repeatable accuracy and durability. Bardons & Oliver’s 4-axis big-bore CNC turning machines combine the advantages of two independent turrets with the proven column design for rugged, reliable, high-production machines. Used in many diverse applications from automotive and bearing blanking to oilfield pipe threading, these machines can take raw material up to 40 feet long and produce finished parts in one fully automated operation with our automated handling systems. 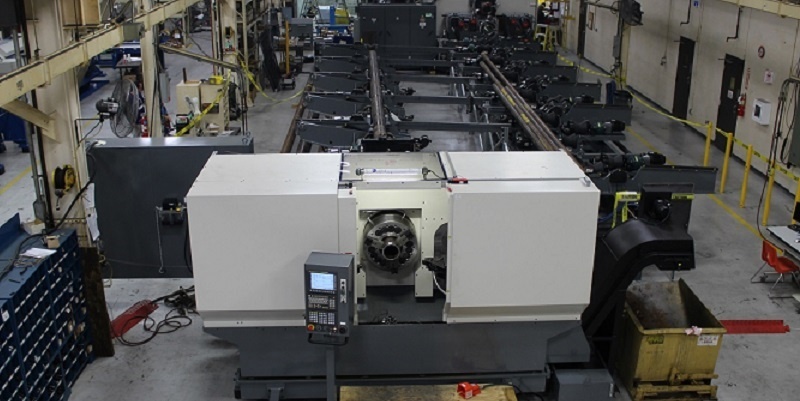 Our 4-axis big-bore machines are available with 12- and 15-station turrets with live tooling on one or both turrets. A total tool carrying capacity of up to 30 tools increases production efficiency and gets your job done faster. Thru-hole capacities of 3", 5", 6.5", 8" and 9"
Chuck capacities of 12”, 15" and 18"
Looking for a custom engineered solution? Bardons & Oliver has been designing, delivering, servicing and supporting Machine Tool systems for more than a century.